The physical appliance offers companies a fully configured hardware and software solution for computer-aided engineering (CAE) including Altair’s HyperWorks suite and the award-winning PBS Works™ suite for HPC workload management. 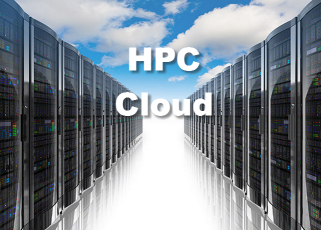 Now, with Altair’s HyperWorks Unlimited Virtual Appliance, the offering goes fully into the cloud with an Amazon-hosted option that lets users get started with HPC in just minutes. The plug-and-play HyperWorks Unlimited Physical Appliance removes the effort to install, manage and maintain HPC clusters, which can be complex and challenging especially for small and medium businesses. The appliance is leased from and supported by Altair for both hardware and software. Now, with their recently announced HyperWorks Unlimited Virtual Appliance, Altair provides users the option to skip the onsite hardware solution and instead access a hosted cluster solution in the Amazon Web Service (AWS) cloud. The solution essentially brings software, platform and infrastructure as a service – SaaS, PaaS and IaaS – to customers within a single and intuitive portal. With the HyperWorks Unlimited Virtual Appliance, users gain a single pane of glass to access all computing (hardware and software) resources through a simple web browser, configured within minutes. The solution is built on the secure, strong and highly available Infrastructure of Amazon Web Services globally, and is powered by PBS Works, Altair’s award-winning suite for powerful, reliable HPC workload management. HyperWorks Unlimited Virtual Appliance leverages Altair’s patented pay-per-usage license model, whereby clients purchase a pool of ‘Units’ which are used to gain access to the extensive suite of HyperWorks products. The HyperWorks Unlimited Virtual Appliance provides the same benefit, with unlimited licensing on a scalable cloud platform. Currently, HyperWorks Unlimited Virtual Appliance is being offered in North America (US, Canada and Mexico through US West and East data centers of AWS), Brazil (Sao Paolo), Japan (Tokyo), Australia (Sydney), in EMEA (through Ireland and Frankfurt), India / Korea / Malaysia / Singapore (Singapore data centers of AWS).